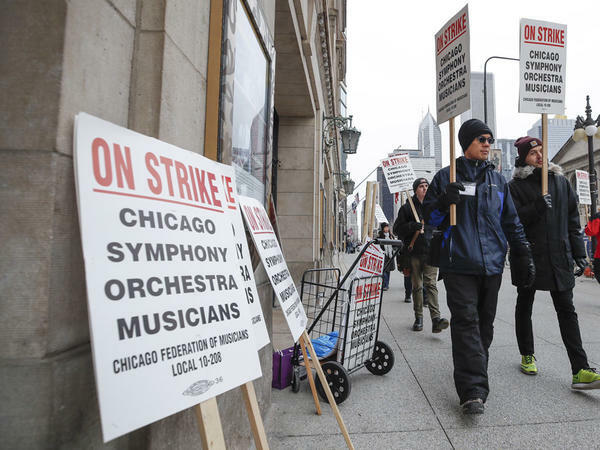 the musicians of the Chicago Symphony Orchestra are on strike. to let them know our fight is a worthy one. Click here to read just a selection of your letters. 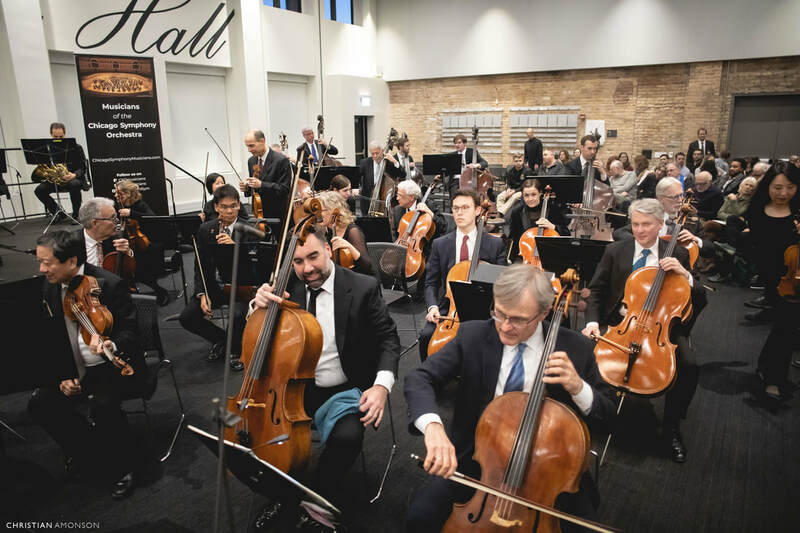 On Monday, April 15th, the Musicians of the CSO played an at-capacity full orchestra performance at the Apostolic Church of God. 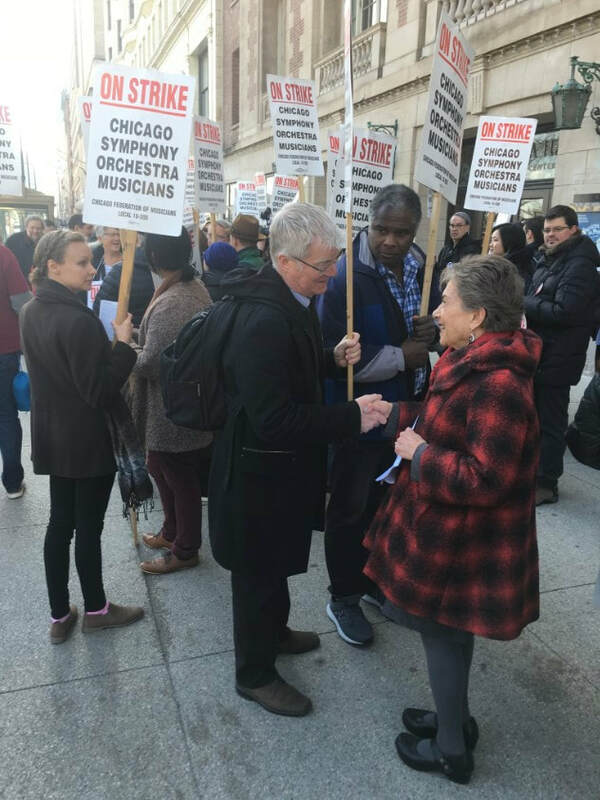 As a retired lawyer/certified public accountant, I’ve had the honor and time to spend many hours on the CSO picket line. 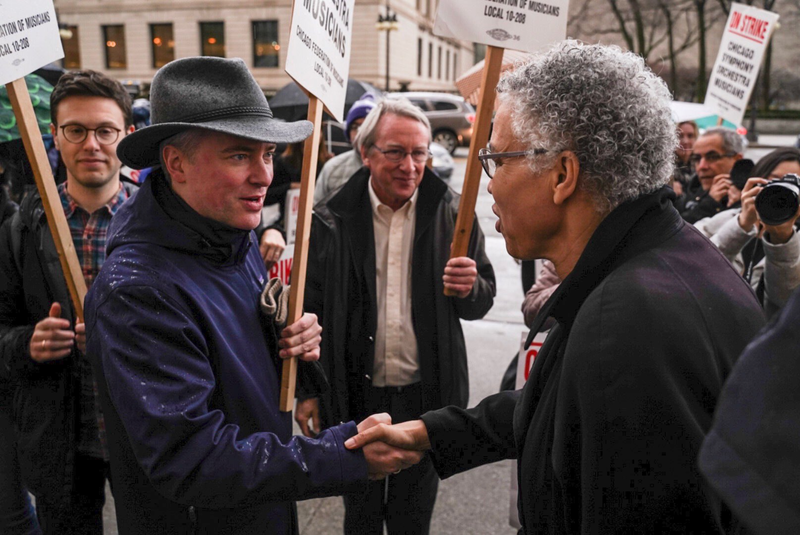 Countless times I’ve been greeted by plumbers, electricians, carpenters, structural iron workers, pipefitters, railroad works, UAW workers, AFSCME members, teamsters and others, proudly wearing their buttons and proudly offering to walk a circle with the sign. I don’t think many of them have attended a concert, but it is irrelevant. 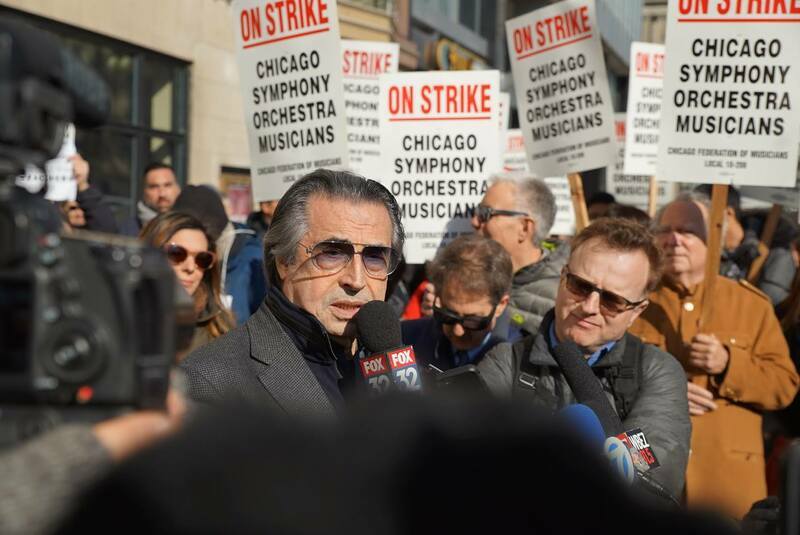 One’s taste in music (or spending priorities) should not affect the sincerity of a belief in the principle that workers have a right to bargain, to strike, and to preserve a defined benefit retirement structure. 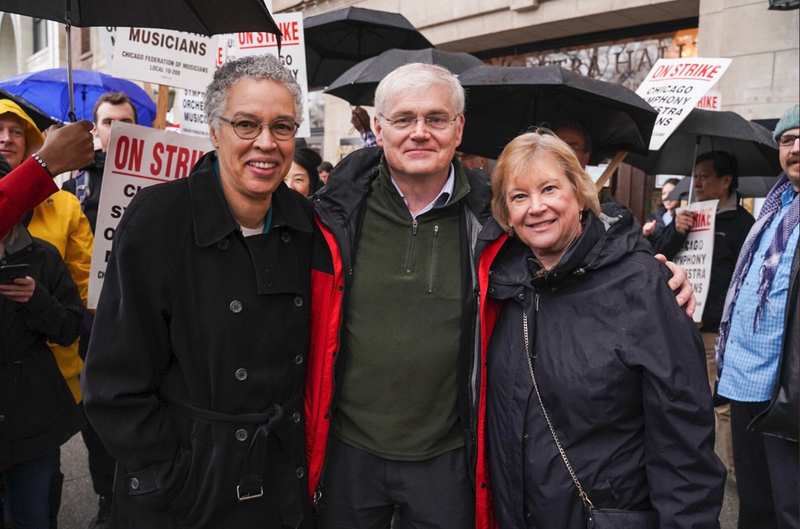 I see that support every day, and this is week five of the strike. 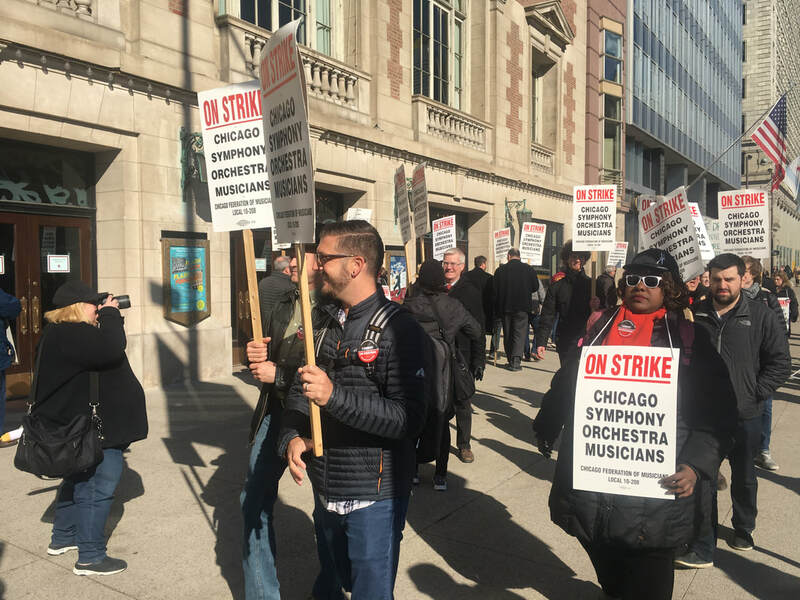 On Monday night, April 8th, the Musicians of the CSO -- dismayed that the Association Board’s proposal leaves the Chicago Symphony Orchestra further behind the orchestras of Los Angeles and San Francisco -- voted to reject the Board's contract offer. 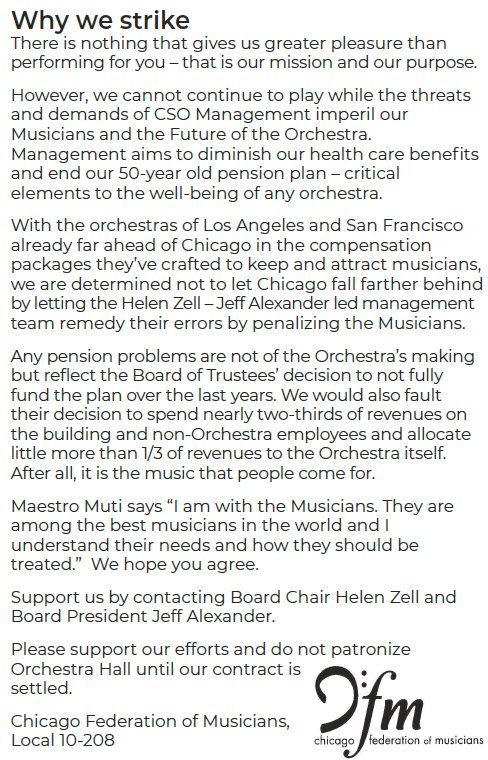 thereby prohibiting new hires from joining and denying nearly 2/3 of the orchestra currently in the pension plan any guarantee to increase their retirement benefit, even if they don’t retire for another 20 years. 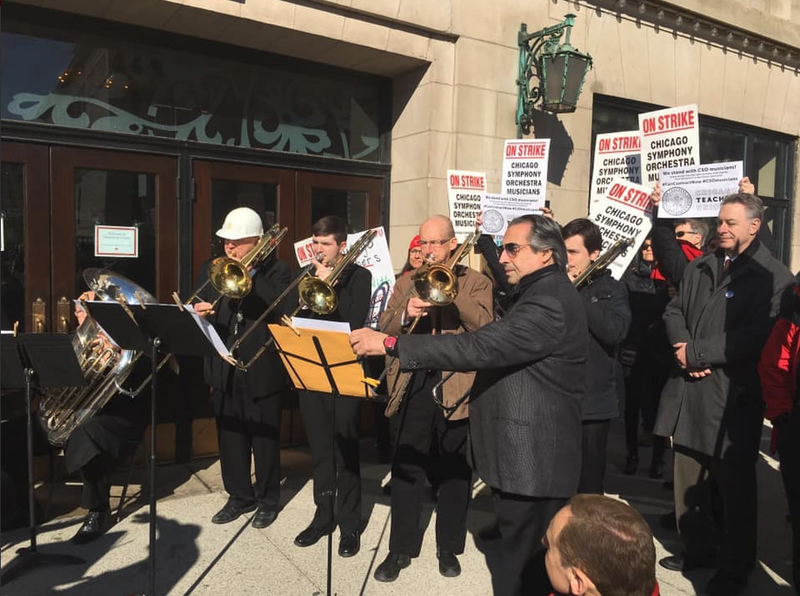 New employees would get no guaranteed retirement benefit. 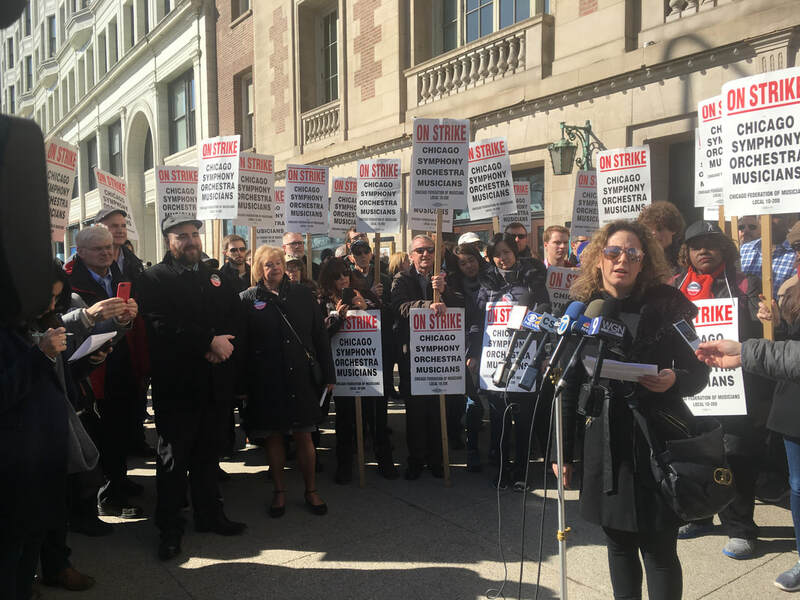 putting the CSO farther behind the salary offerings of San Francisco and Los Angeles. 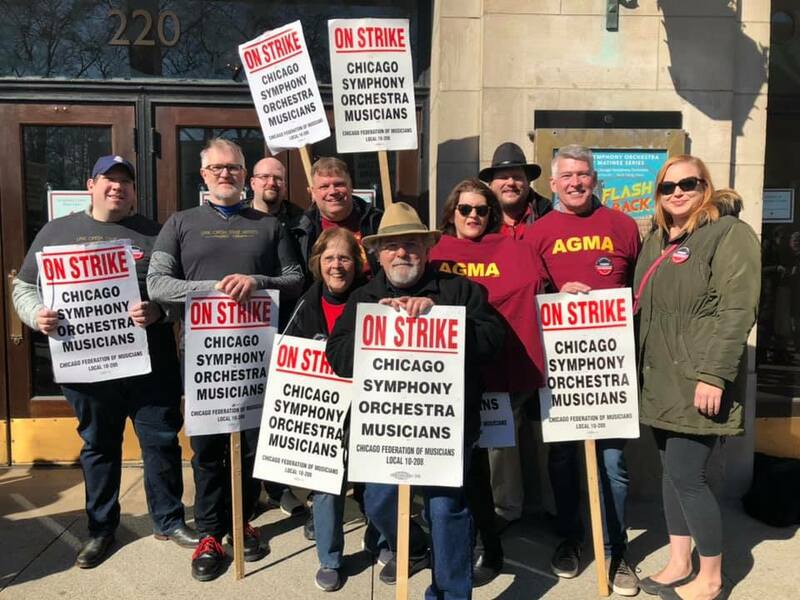 Along with attaining salary increases that would end the CSO’s decline relative to the nation’s other leading orchestras, the Musicians have proposed maintaining the current defined benefit pension plan but capping pension payments and funding retirement based on an agreed-to formula. 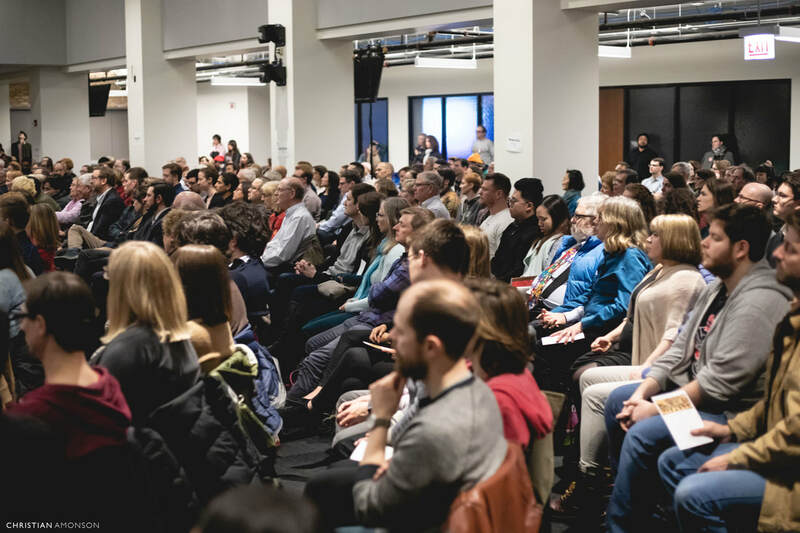 The committed funds would be used first to fully fund the pension plan for the next 20 years, then remaining funds would be put into individual 401(k) accounts. 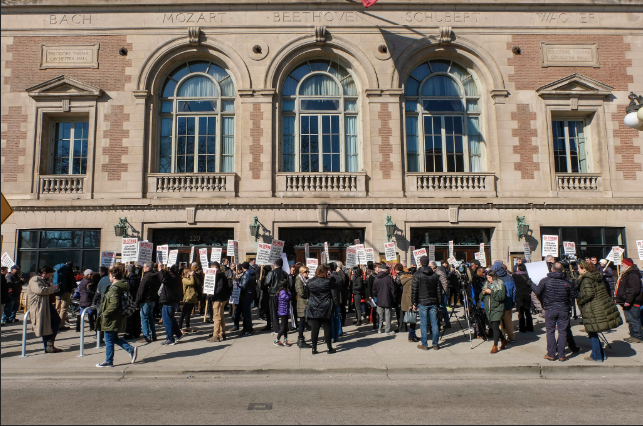 The Union expects the CSO Board to return to the bargaining table and consider further proposals from the Musicians. and one that will ensure its excellence and sustainability well into the future. 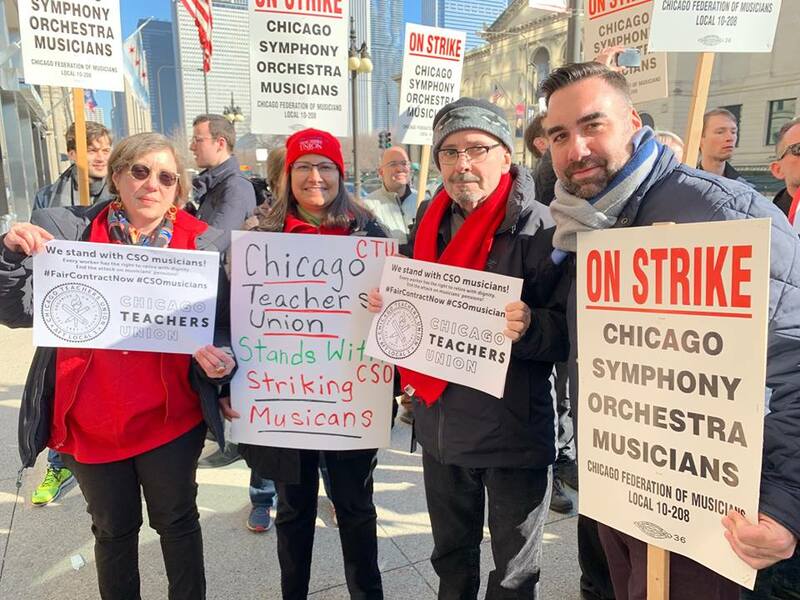 On Friday, April 5 at 12pm at the Chicago Temple (77 West Washington St., Chicago, IL) Emma Gerstein (flute), Aiko Noda (violin), Diane Mues (violin), and Loren Brown (cello) played Pachelbel’s Canon, Mozart’s Flute Quartet No. 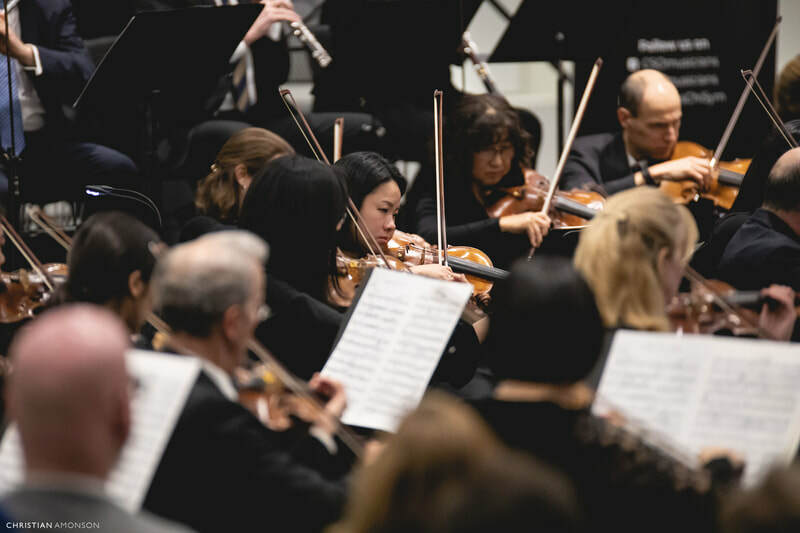 4 in A Major, K. 298, Beethoven’s Serenade for Flute, Violin, and Viola, Op. 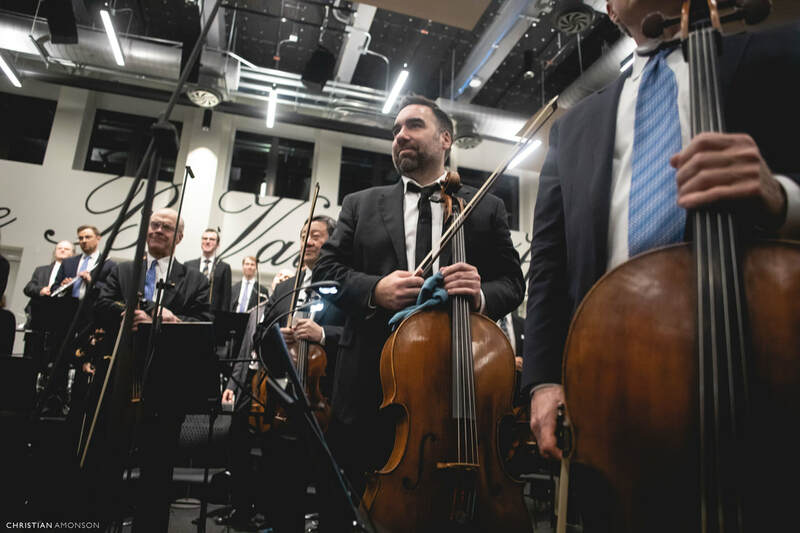 25, and Dvorak’s Waltz Op. 54, No. 4. 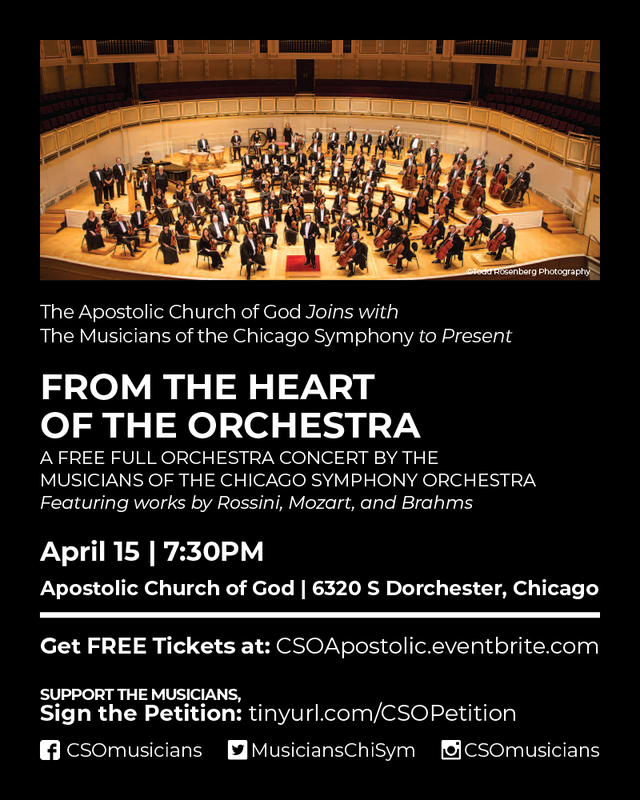 The Musicians of the Chicago Symphony Orchestra have also announced three additional free concerts on Wednesday, April 10th at St. James Cathedral, Friday, April 12th at The Hideout, and Monday, April 15th at the Apostolic Church of God – part of the Musicians’ “From the Heart of the Orchestra” free citywide concert series. 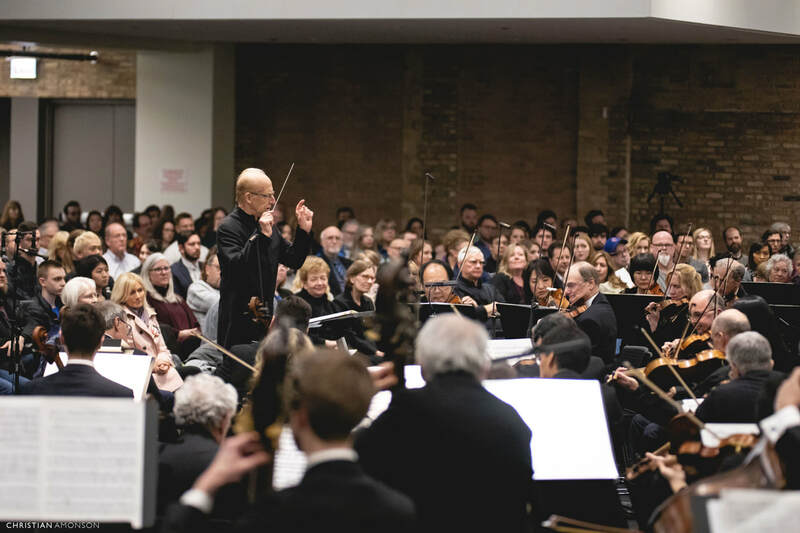 At a small chamber concert Wednesday, April 10th, 7:30pm, at St. James Cathedral, 65 E. Huron Street Daniel Gingrich (horn), Dennis Michel (bassoon), Mio Nakamura (piano), William Welter (oboe), and John Bruce Yeh (clarinet) played Handel’s Sonata in B Flat Major, HWV 357; Brahms’ Sonata in F Minor, Op. 120, No. 1; and Mozart’s Quintet in E Flat Major, K. 452. 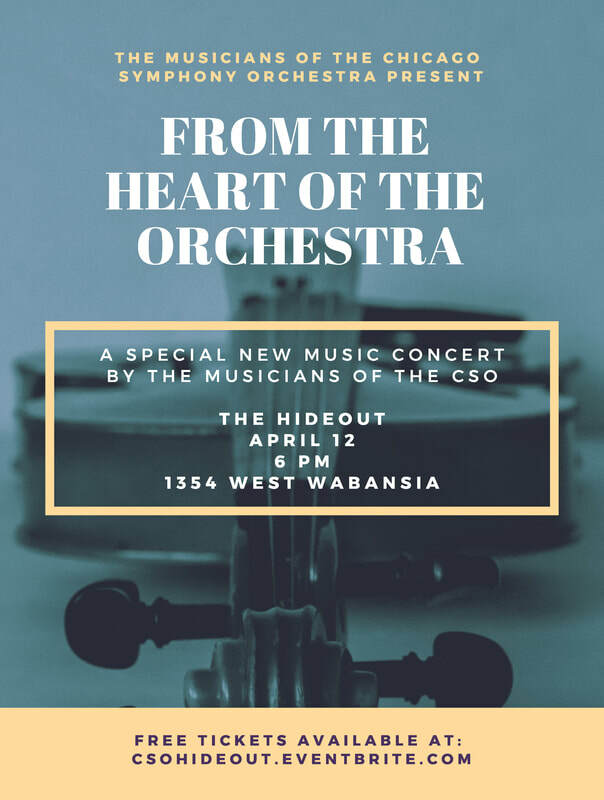 On Friday, April 12th, 6pm, at The Hideout, 1354 W. Wabansia Ave, the historic 100-year-old neighborhood tavern hosted a new music performance featuring Alex Hanna (bass), Stephanie Jeong (violin), Rob Kassinger (bass), Katinka Kleijn (cello), Weijing Wang (viola) and Cynthia Yeh (percussion) – who played a unique and innovative program of classical and electronic compositions: ly ful hood by Bryan Jacobs for solo cello and electronics, For two or three instruments by Pauline Oliveros, Red Violin Carpices by John Corigliano, and uscirmi di braccia (leave my arms) for viola and percussion by Suzanne Farrin. 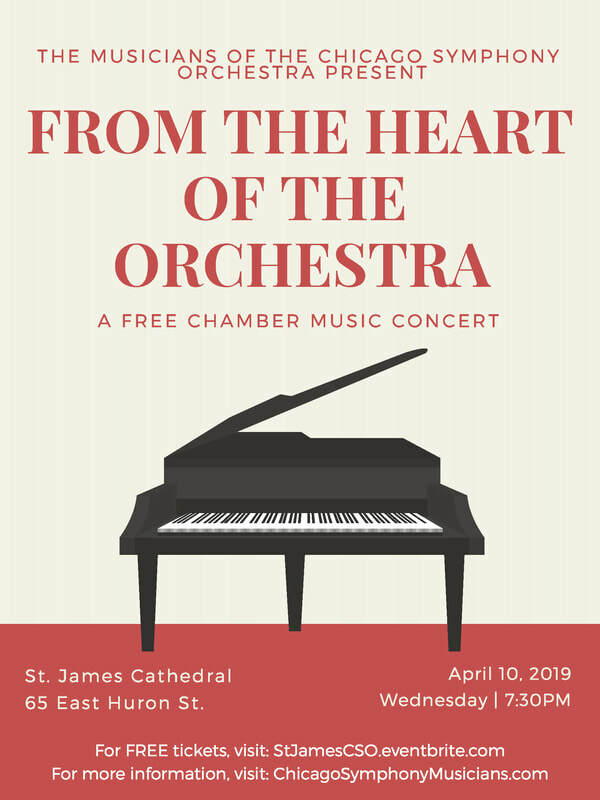 as part of the "From the Heart of the Orchestra" free concert series. 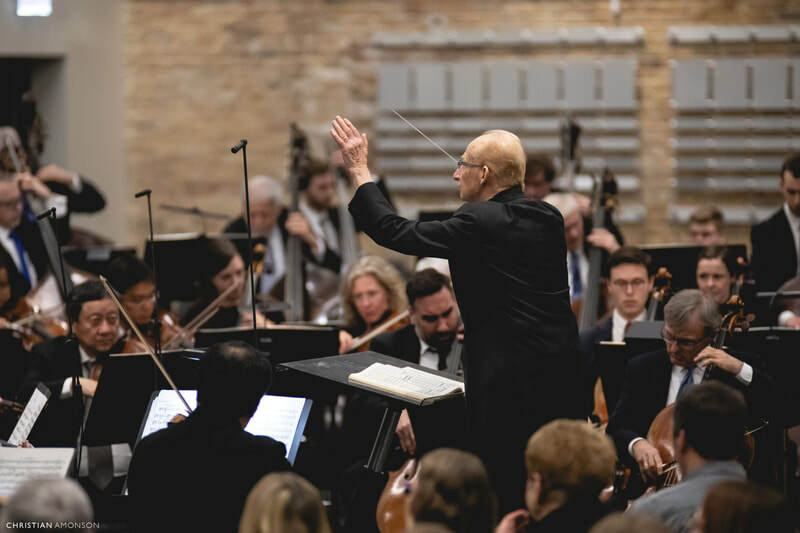 On Friday, March 22, Sunday, March 24, and Monday, March 25, the Musicians of the CSO performed the first of three free concerts in a series called "From the Heart of the Orchestra." All are welcome to attend. 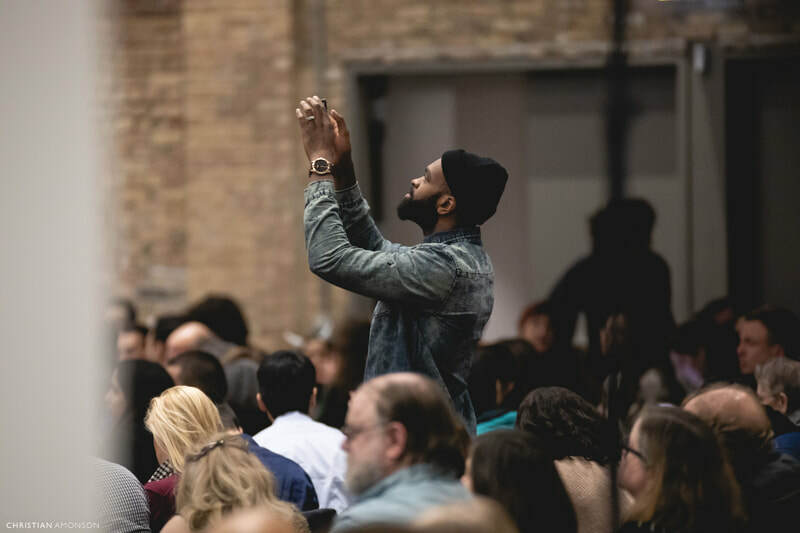 Tickets to these and future performances will be available on a first-come, first-served basis. 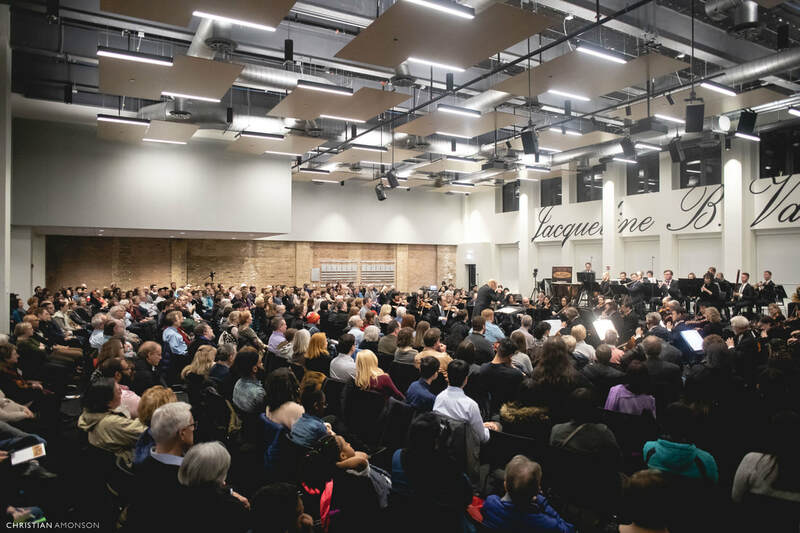 The Friday, March 22 performance was a small chamber concert from 8-9:30pm at the PianoForte Studios, 1335 S. Michigan Ave, 2nd Floor. 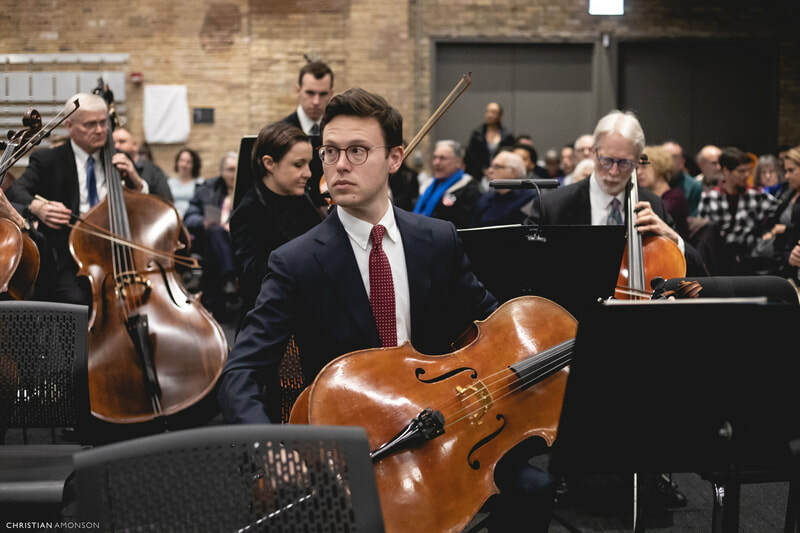 The performers included Emma Gerstein (flute), Rong-Yan Tang (violin), Max Raimi (viola), Karen Basrak (cello), and Daniel Paul Horn (piano) – known collectively as the Wabash Avenue Music Collective. 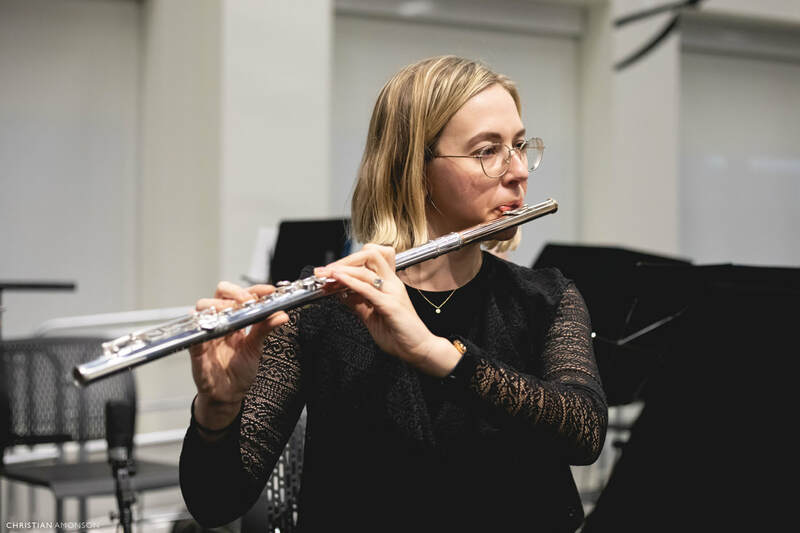 The musicians played Mozart’s Variations on “Ah vous dirai-je, Maman” and Quartet in D for Flute and Strings, K. 285, Raimi’s Havenu Sholem Aleichem: Variations and Themes, Vivaldi’s Concerto in C Major, RV 443, featuring Jennifer Gunn on piccolo, as well as Mendelssohn’s Piano Quartet No. 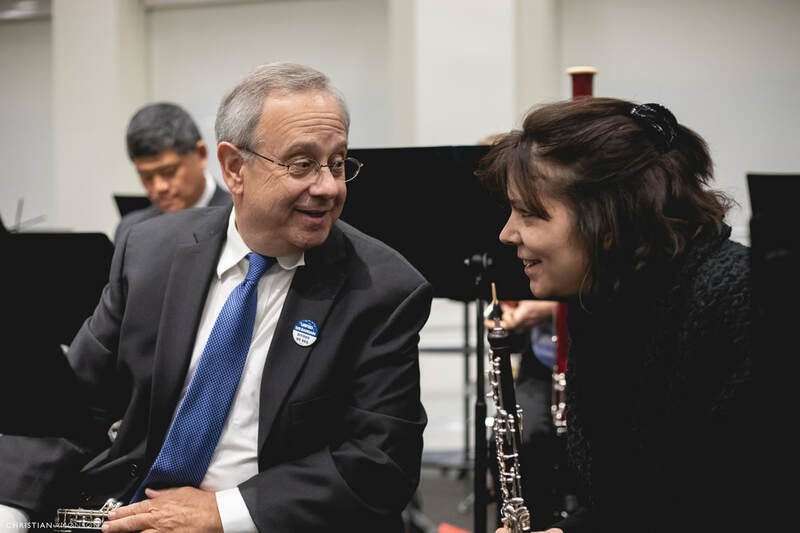 3 in B Minor, Op. 3. 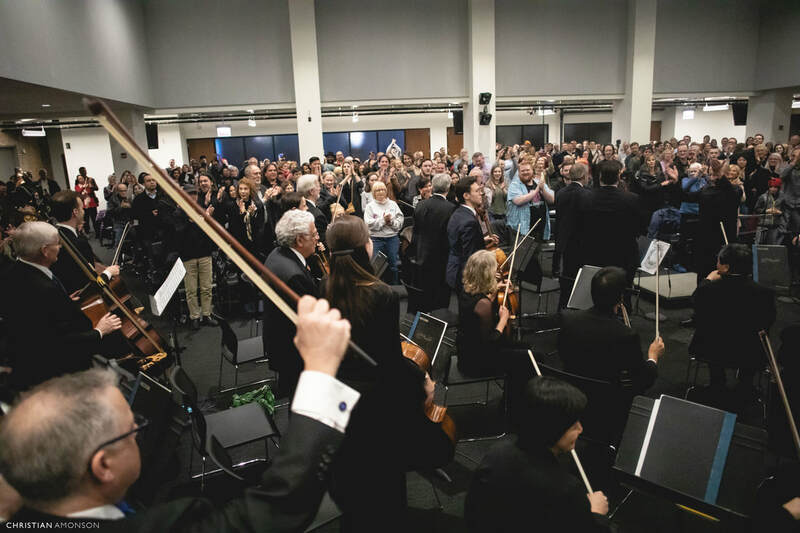 To obtain the free tickets or for additional information, please visit: https://www.eventbrite.com/e/a-gift-of-music-to-chicago-tickets-59006300433. 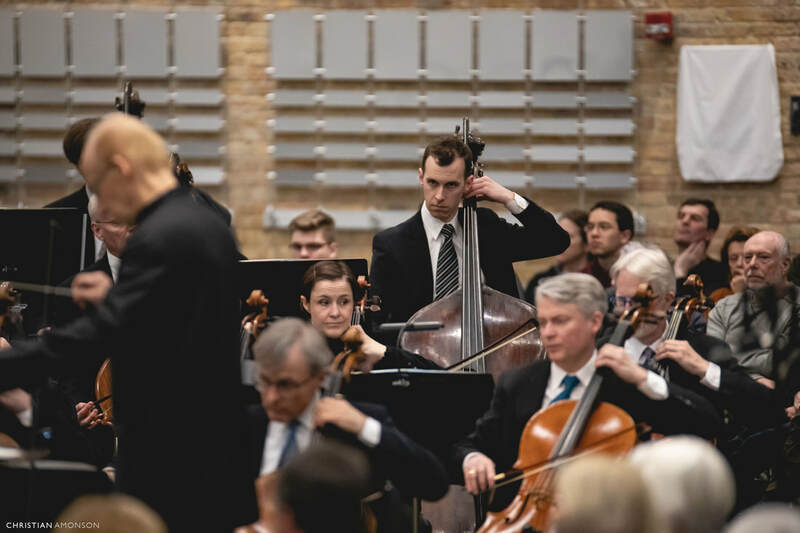 On Sunday, March 24, the musicians played Schubert's Quarttsatz in C Minor, D. 703, Mozart's Quintet in E Flat Major for Piano and Winds, K. 45, Largo - Allegro Moderato, Larghetto, Allegretto, as well as Beethoven's String Quartet #11 (Serioso), Op. 95 in F Minor, Allegro con brio, Allegretto ma non troppo, Allegro assai vivace ma serioso, Larguetto espressivo, Allegretto agitato, Allegro. 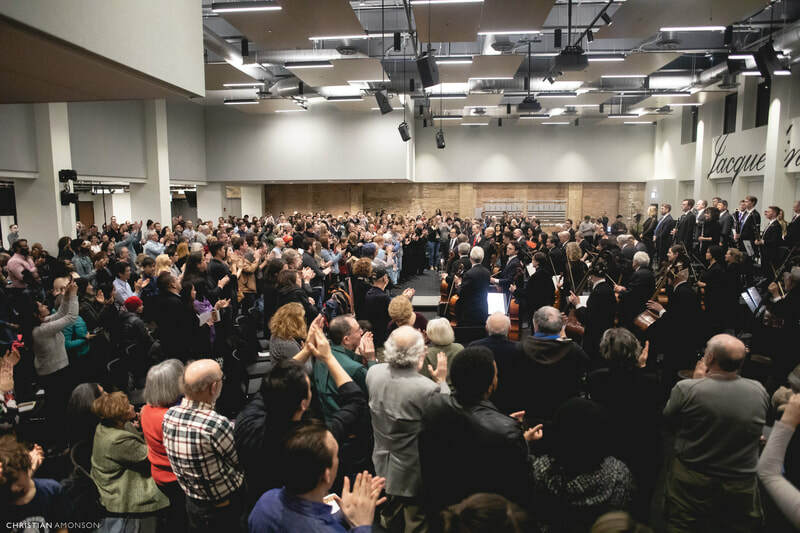 Performers included William Welter (oboe), John Yeh (clarinet), Dennis Michael (bassoon), David Griffin (horn), Mio Nakamura (piano), as well as the Lincoln Quartet, featuring Lei Hou (violin), Qing Hou (violin), Lawrence Newman (viola), and Kenneth Olsen (cello). 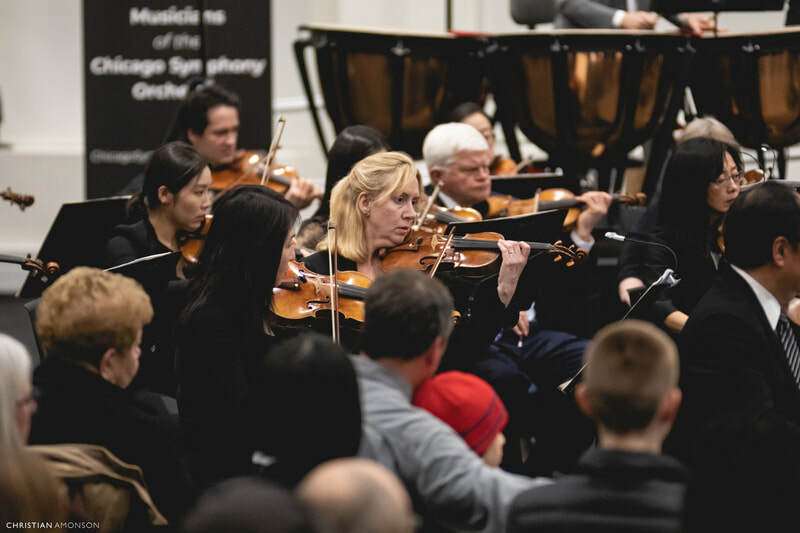 To obtain the free tickets, please visit https://tinyurl.com/CSOganzhall. 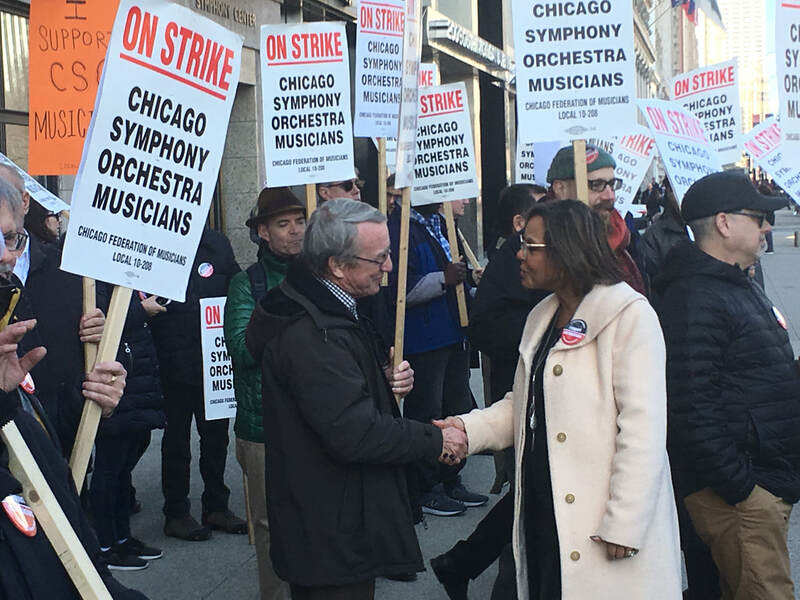 Chicago Sun-Times - "Striking CSO Musicians Offering Free Concerts"
House Speaker Nancy Pelosi in support of the musicians. 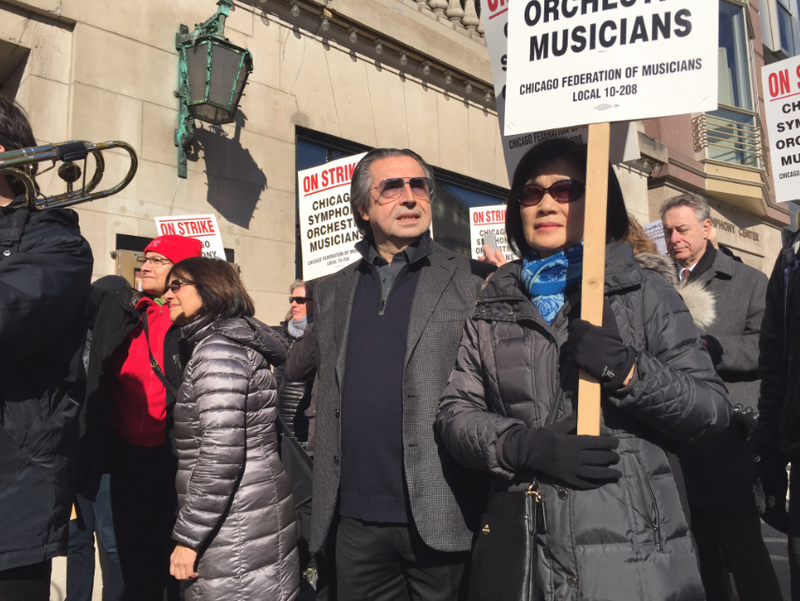 ABC 7 - "Striking CSO Musicians to Play Free Concerts"
Chicago Symphony Orchestra is a cultural jewel of the world. 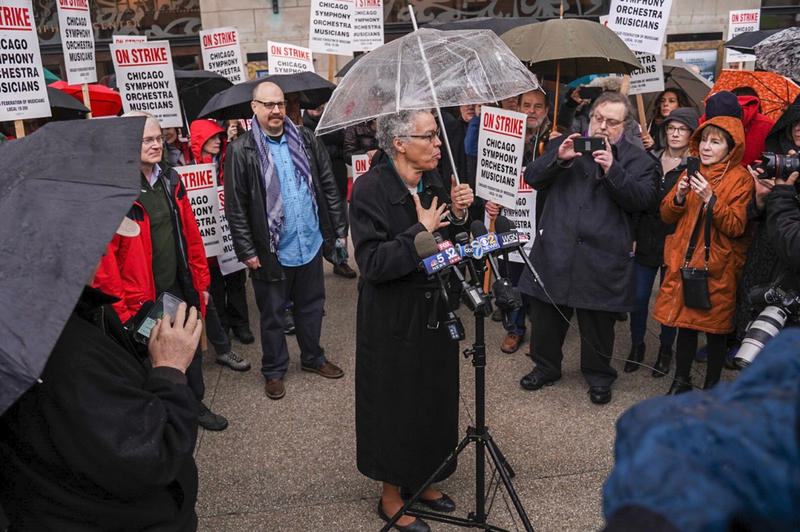 ​and the city of Chicago to resist any attempt that will reduce such status. 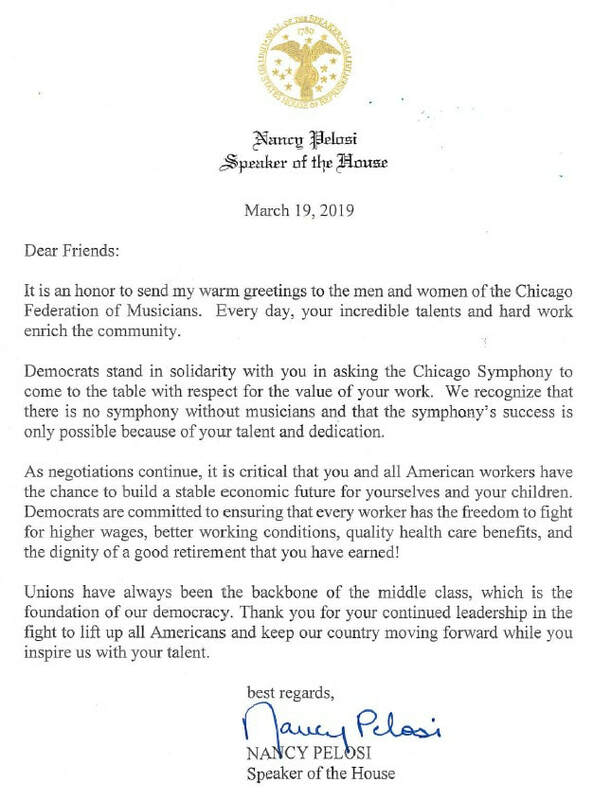 I offer my full support to the musicians of the Chicago Symphony Orchestra. 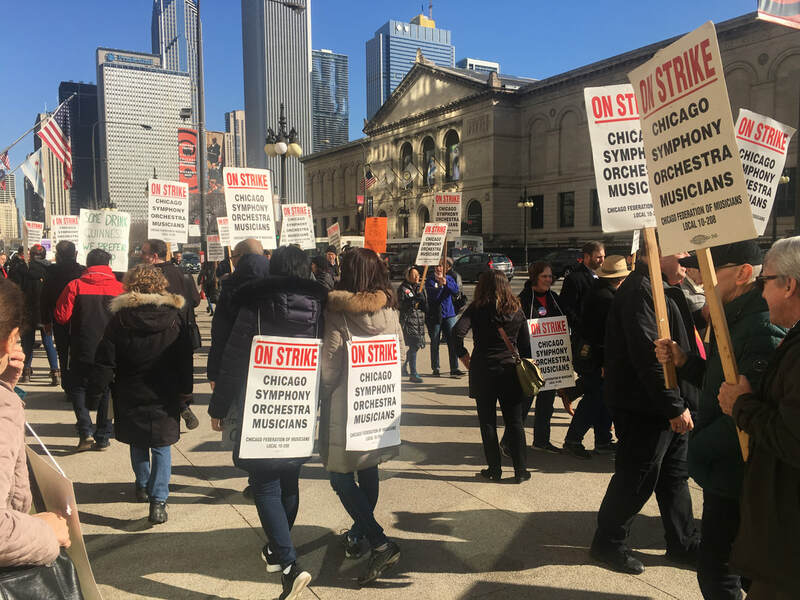 "Why I Support the CSO Strike"
A Letter From A Supporter: Please Read! to end it and replace it with a defined contribution plan. ​that contained a number of misstatements and distortions. 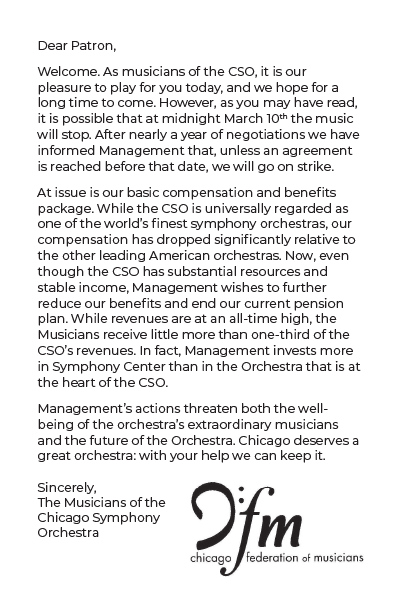 ​The musicians responded in a letter to members. Follow us on our ​travel blog on this website, Facebook and Instagram. so don't forget to check Twitter, Facebook and Instagram.